No, I didn’t choose that title in order to be provocative or controversial. It’s a direct quote from a conductor that is/was the music director of a small Midwestern American opera company. I was 20 years old and had just sung an audition that I was actually proud of. Following the audition, as my accompanist and I were leaving the hall, the gentleman thanked me for my audition and showered me with compliments. Then, in a very serious tone he uttered those words as if he were compelled to warn me. He continued by apologizing, not for what he had said, but because he knew that I’d “never have the career” that my “talent deserved” because I was black and he hoped that someone had told me “before it was too late.” I remember that audition and that day like it were yesterday. The other panelists sat quietly, my accompanist stared at me in amazement, but as is my way I gave him a piece of my mind, snatched my materials from the table, and walked out of the room. That was a pivotal moment in my development. While I steadily grew as a young professional from one young artist program and competition to the next, those words always stuck with me. I was determined to prove him wrong, and I believe I have. Now as I’ve reached the heights of my profession, I believe I have an overwhelming responsibility to make sure that no young singer should ever have to hear "Too bad you’re black," or any variation on that theme. That is my mission at this stage of my career — to ensure that true diversity penetrates every level of this business. I’ve been in love with opera since grade school, when I happened upon a radio station and heard people singing weirdly. I had no idea what I was listening to or why I was so captivated by it, but the next day I went back to that radio station to listen again. In my youth I didn’t really know black people sang opera. 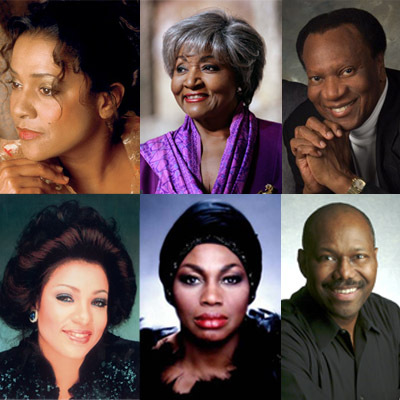 I’m not sure how I learned, but my earliest memory of singers that looked like me on stage singing opera was a broadcast of the Metropolitan Opera Centennial Gala, where I saw Leona Mitchell, Grace Bumbry, Leontyne Price, and Kathleen Battle sing gloriously. As a member of the local children’s chorus I was privileged to see some of my first live performances, as we got final dress rehearsal passes to the operas. 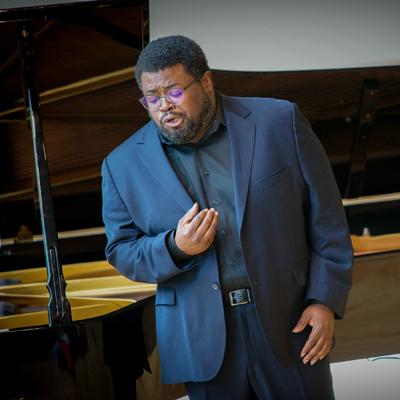 I saw performances in my hometown that not only had black singers on stage like Simon Estes and Curtis Rayam, but a black music director, Willie Waters. Leontyne Price, and Willie Waters. Unfortunately, in North America, no major opera company has a black music director, artistic director, or general director. Most staff at opera companies are white, and senior staff overwhelmingly so. Wayne Brown, the President and CEO of Michigan Opera Theatre, is the only one I’ve found. Most of the leading roles on stages across North America are cast with white singing actors. There is a push to change things by diversifying the stage but there won’t truly be systemic change until the back office looks more representative of the communities that house these organizations. The same should be said of Asians and Latinos; I’m simply speaking from my black perspective. Cities throughout North America are beautifully diverse. However, the stages in classical music are not equally diverse. I’m not suggesting that the arts take an affirmative action approach to casting, as the talent should always outweigh any arbitrary need to embrace diversity. That said, arts organizations should be representative of their communities — in their staffing and the artists they present on stage, to members of the board of directors. A major metropolitan city that has a Chinese and South Asian population of nearly 25% should not have only five out of 65 roles listed performed by artists of Asian descent. In New York, a city that’s 25% black, the two major orchestras have very few black musicians — not close to 25%. Representation matters and these numbers are discouraging to young artists. 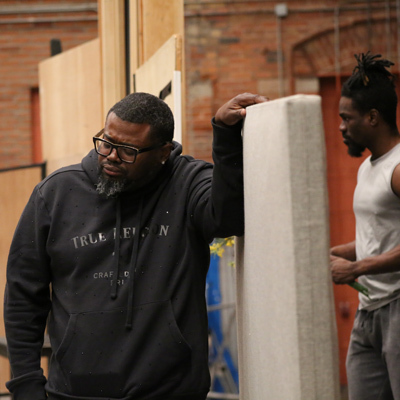 Over the past few years there’s been a lot of conversation about blackface, particularly in regards to roles like Otello and Aida. Painting someone to look like a legitimate character isn’t blackface. Blackface is a racist caricature performed to demean and disrespect black culture. It’s a distraction to suggest otherwise, in my opinion, and a very slippery slope. Even if companies stopped darkening artists to play these roles, it doesn’t guarantee that they will cast a black artist. 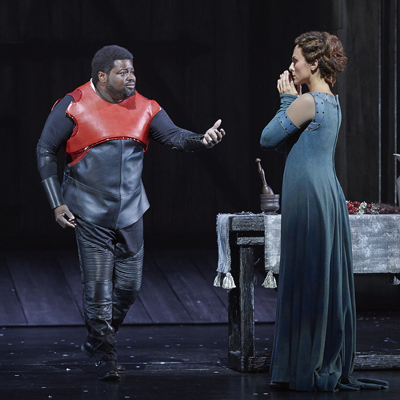 If we say that only black singers should sing Aida and Otello, and only Asian singers should sing Butterfly and Turandot, would we get a black Don Carlo or an Asian Elisabetta? We will essentially make minority artists less marketable with this approach and stages will be even less diverse. Type-casting isn’t the answer. 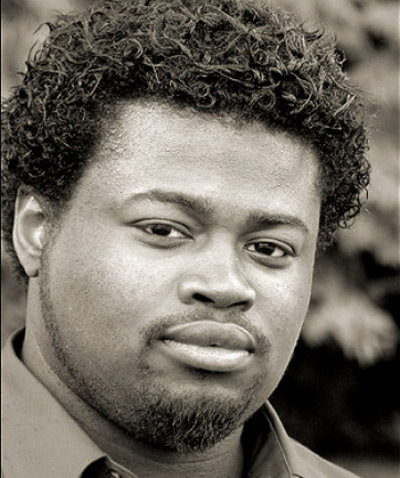 I truly believe that the ultimate survival of classical music and opera depends on figuring out the issue of diversity, as well as making organizations representative of the community in a way that engages everyone, without dumbing down or playing it safe and palatable. Artists and arts organizations have a responsibility to not simply entertain but to push boundaries, be better representatives of their communities, and in some ways be social activists. Diversity in the back office will lead to more diverse stages, and in turn more diverse audiences. This is accomplished by making sure everyone not only has a seat at the table, but that their mind, body, and soul is full. 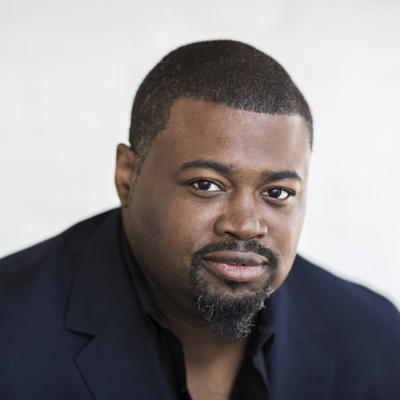 Russell Thomas appears as Otello in his first staged production of Verdi's Otello, on stage from April 27 to May 21, 2019 at the Four Seasons Centre for the Performing Arts.